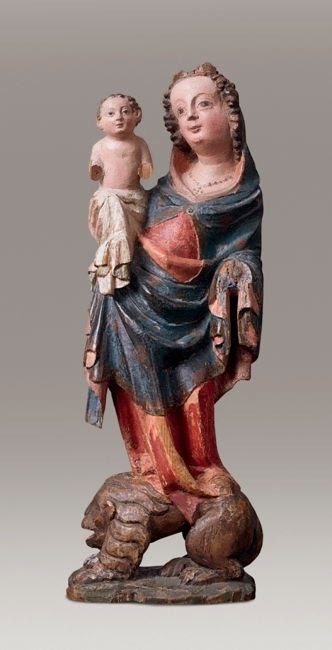 Gothic art does have many mysterious motifs, motifs we do not understand any more. 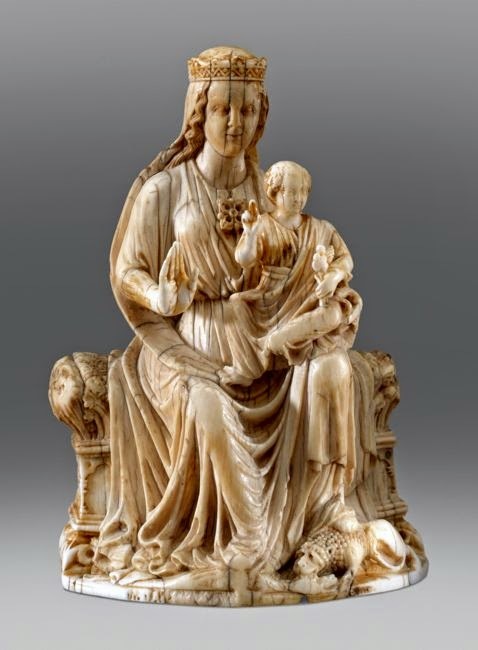 One of them them is Virgin Mary sitting or staying on a lion. 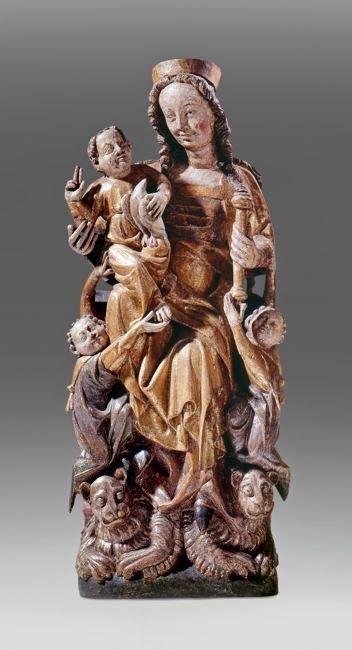 These remarkable wood sculptures appeared in the second quarter of the 14th century in central Europe. 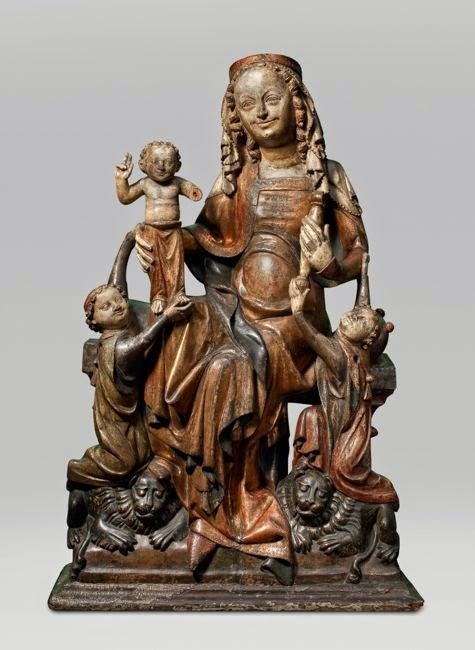 The origin of the motif is unexplained, but can be connected with the Prague court of emperor Charles IV (let's leave his four beautiful and important Wives out of the picture for now). Madonna always represents ultimate grace and purest Womanhood, highest possible Queenship and most dedicated Motherhood. Lion is a symbol of might, male strength and power and pride and... vanity. The victorious pose is self-explanatory. Maybe not so mysterious for us?